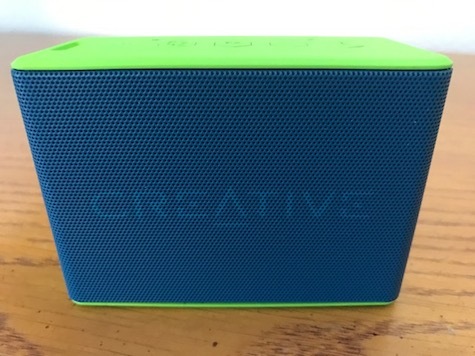 Creative’s new Muvo 2c is a colorful Bluetooth speaker with a water resistant, rubberized exterior. You can lounge near a pool and not worry about kids splashing water on it. It comes in black, red, blue, or lime green. Get the brighter unit and you’ll never misplace it even though it’s small enough to fit in the palm of an adult’s hand. The speaker has a Bluetooth range of about 30 feet (10 meters), which is standard for most newer Bluetooth devices. When fully charged the battery is rated to run for six hours. 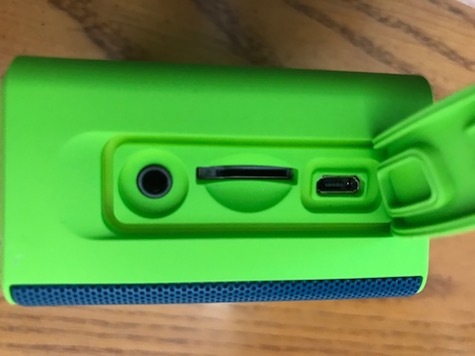 In addition to an audio out port, there a slot for a micro SD card, which means you can load songs on your card, plug it into your speaker and listen without using an external device like an iPhone, iPad, or iPod. All ports are covered by a strip of rubberized material to keep out dust and water. You can also use the speaker’s USB cable to connect to your computer and play tracks in iTunes or stream music from Internet radio stations. If you love deep, reverberating bass, you will love this speaker. Buy two and you can pair both simultaneously for a wider stereo effect. Check out this video to see how it’s done. The audio had limited appeal for me but may be more pleasing with two speakers. I had one evaluation speaker and the bass seemed overwhelming and midtones were tepid. 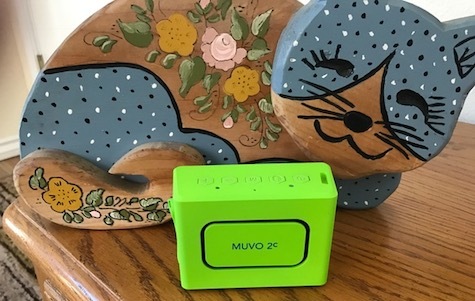 Compared to the slightly larger Muvo 2, reviewed recently here at MyMac, the audio on the little Muvo 2c is muddy and heavy-handed. If you listen to rock, heavy metal, hip hop and rap, you might find it’s just the thing you were looking for. If you listen to anything else, check out the Muvo 2 first. The speaker also has a built in mic so you can answer telephone calls.